As many office based servers, active equipment and their related cooling apparatus become more powerful to sustain the demands we make from them, they are inevitably becoming noisier in the process. These background noises can lead to an impractical office working environment and they also run the risk of being in breach of EEC guidelines if too loud. The USpace 7210 sound proof range continues the tradition of quality, style and innovation associated with the USystems repertoire of intelligently designed products. 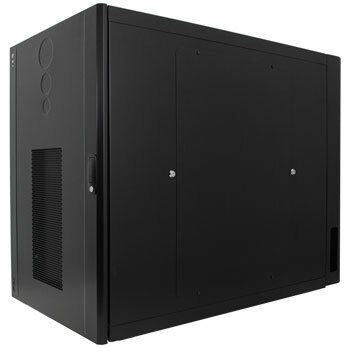 Our value range of Sound Proof Server Racks are made from steel with lockable Steel/Mesh Front Doors, available in Black as standard and designed to house standard 19" Equipment.